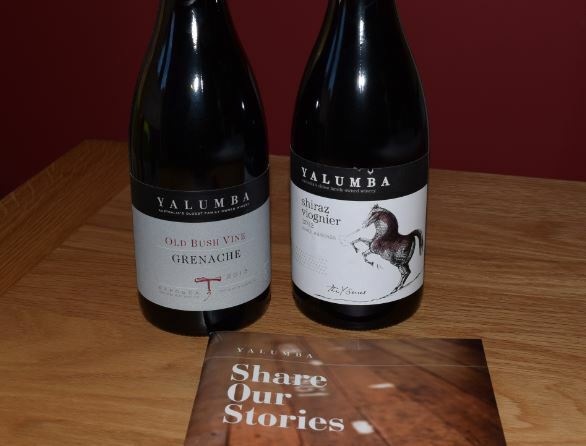 Time for another Tesco taste panel submission now, and this month it’s a double-whammy of two wines from respected South Australian producer Yalumba. 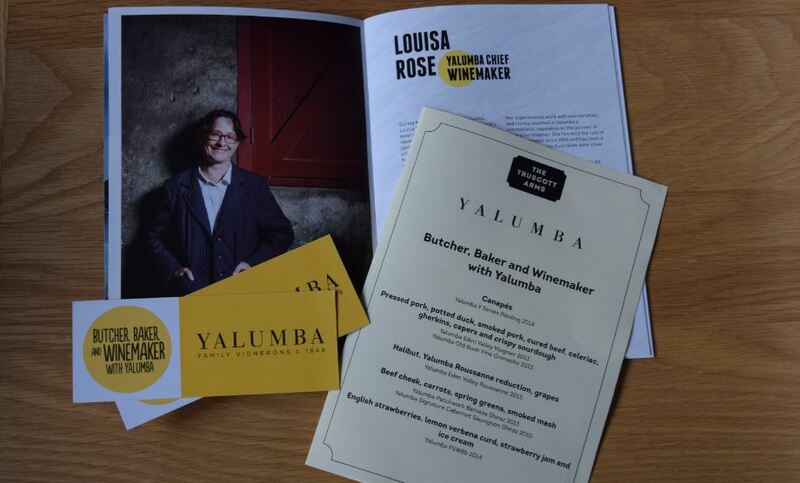 Based in the Barossa Valley, Yalumba are a rarity in the wine world as they are still in the hands of the original family and are now run by the 5th generation descendants of founder Samuel Smith. Founded in 1879, they are notable for their commitment to the sustainability of the surrounding environment, and parts of their estate are farmed both bio-dynamically and organically. South Australia is fortunate to have some of oldest vines in the world, and Yalumba have made a clear commitment to their care and cultivation by establishing the Old Vine Charter – a guarantee that consumers have clear age provenance of the vines used to produce the wine, and to act as a barometer as to both the quantity and quality. The charter tracks vine age from 35 years to those that can be said to have been alive in 3 different centuries, and so there is some serious heritage to understand and protect. Yalumba also get bonus points from me as a producer leading the way preserving the Viognier grape (which I reference in my earlier article Missing in action). Anyway, on to the tasting! The bush vines in the ‘Old’ category span between 35-80 years old and, due to both the nature of a bush (as opposed to larger trellised vines) and the reduced vigour of old age, crops are small but full of flavour. The nose gives off clean deep fruit notes pairing rich red cherry with vanilla and violets from subtle oak influence. In conjunction with both the deep colour of the wine and the visible tears on the glass (betraying the alcohol level which clocks in at 14.5%), it prepares you for what could be a huge wine. What actually transpires is a full, rounded body, paired with an appealing acidity which glides the wine through your palate with such smoothness that it’s a pleasure to drink. In the mouth, the red fruits are now more towards berry and currants, with a little spice and warmth from the alcohol helping the fine tannins. This is all at once juicy, chunky, subtle and extremely precise with its concentrated fruits. For me it truly melted over the palate and if tasted blind, I’m not sure I would have had the alcohol as high as it is. That said, there is a warmth from the alcohol that allows this wine to linger in the mouth for some time after. Delicious. On opening the bottle, there is an immediate hit to the nose of ripe dark red cherry, clean fruits and spice. In the glass, this opens out and again we have vanilla and violets from wood influences. The palate is medium bodied with medium acidity and minimal tannin, and all about the primary fruit blend of cherries and berries which, for me, jumps between both black and red fruit. The refreshment comes from the inclusion of Viognier in the blend, which both compliments and juxtaposes the Shiraz. Overall this is a pleasant everyday wine to drink with or without food, which is exactly what I think Yalumba were intending it to be according to their literature. Comparing both of these wines side by side (bottles were served in Riedel glasses, un-decanted, and tasted over 2 separate days), I personally think it is definitely worth trading up from the Y series to the Old Vine. 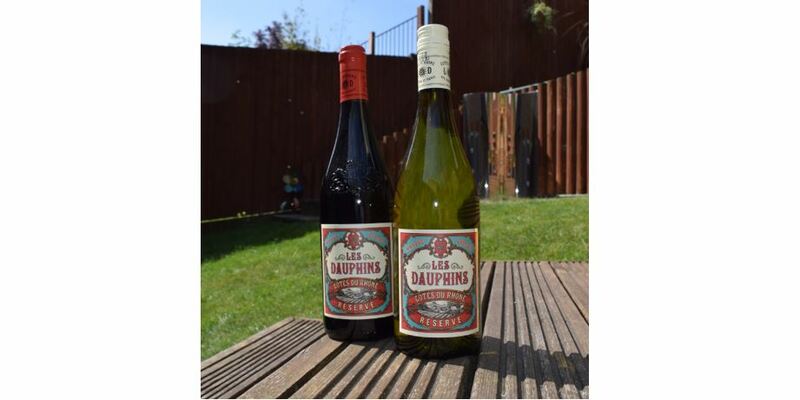 As pleasant as the Y series is, for just £2 extra per bottle you are in to a whole different world of quality, and from an everyday drinking wine to a wine that you would want to keep for those nights when you want to guarantee a good bottle. Many thanks to both Tesco and Yalumba for providing the bottles used in this tasting. With wine being such an everyday commodity, I find it fascinating that there’s the prospect of trying a magical elixir that we may never have been able to taste. The quest to taste the mythical ‘untainted’ pre-Phylloxera wines is something of a holy grail for both wine professionals and amateurs alike but, as time goes on its less and less likely that the opportunities will arise. There is an easy way, however, of getting a piece of the action when it comes to rare wine. Something becoming increasingly common is the resurrection of lost or believed extinct grape varieties. In a market that probably doesn’t need another Sauvignon Blanc or Chardonnay, searching out these obscure varieties can be a clear path to creating a unique wine that really stands out. For me the quest conjures up images of an Indiana Jones type character searching around distant fields in forgotten towns – perhaps talking to old locals in the hope that one of them remembers an elderly man who once had a vineyard. Now this may sound either dramatic or romantic (or both), but with the wine industry going through several reboots due to issues like Phylloxera or prohibition, the world markets stopped and started. This meant that plantings were grubbed up or even abandoned, and it’s finding these forgotten outposts that is the gateway to tasting wine from another time. A book entitled ‘The Wild Vine’ by author Todd Kliman follows the near extinction of the Norton grape variety, which hailed from the US state of Virginia. Once upon a time at the 1873 Vienna convention, a bottle of Norton was awarded the very grand sounding award for ‘Best red wine of all nations’. In spite of this, fate had a different idea and Norton was forgotten. It was re-discovered in 1965, and with the persistence of grape crusader Jenni McCloud, it has come back from the brink and is now considered to be the only American vine variety good enough to make premium wine. Legendary Spanish wine producer Miguel Torres is also striving to rediscover lost vines. As part of a caretaking exercise to respect and understand the tradition and history of his region, Miguel began placing advertisements in the local Barcelona press asking if anyone knew of any obscure varieties being made in vineyard outposts. Fast forward to today and Torres lays claim to have resurrected 45 grape varieties from obscurity since 1984. Certainly the last couple of times I’ve tasted through their ranges at wine fairs, they’ve included some weird wonders such as Querol, or the Samso and Garro varieties blended in to their Grans Muralles. Now you may be thinking that this is all very well, but you’re unlikely to bump in to any of these grape varieties with ease and be able to taste them. You may be surprised then, to hear that there are some grape varieties saved from near extinction that are widely available in any reasonable supermarket selection. Potentially you may even have a bottle of them in the house now! Viognier is a grape hailing from the Northern Rhone in France, and whilst today it is common (France had 4,395 hectares (10,869 acres) given over to Viognier in 2009), it’s astonishing to think that as recently as 1965 plantings had dwindled to just 14 hectares (35 acres). That’s roughly the size of 27 football pitches, and could have been 100% wiped out by just one bad frost or serious hail shower. The Viognier vine has a tendency to suffer from coulure (the failure of grape development following flowering) and was prone to providing low yields, and so many farmers simply gave up and moved on to easier to handle varieties. To see its’ resurgence is remarkable, and it’s now produced across the globe, faring well in diverse regions such the USA, Australia and New Zealand. And then there’s Carménère. This Bordeaux variety disappeared following the outbreak of Phylloxera (for the same reasons as Viognier), and was thought lost forever. Thankfully it was later discovered thriving in Chile where it was mistakenly thought to have been Merlot. Incidentally, whilst some regions do have smatterings of plantings that managed to escape Phylloxera, as Chile is surrounded by either desert, sea or mountains, it’s one of the few wine producing countries not to have seen the Phylloxera outbreak. As the Bordeaux varieties were imported from France before they themselves suffered from Phylloxera, Chile still grow grapes on ungrafted vines, and therefore they are probably your best bet today of trying a ‘pre-Phylloxera’ wine. Obviously production methods, wine style and all sorts of other aspects have changed over the years, so I only mention it with tongue planted firmly in cheek. Everyone loves an underdog story, and whenever I see or get to taste a Viognier or Carménère I tend to go for it. It reminds me that I may not have had the opportunity to do so, if things had been only slightly different.